Flowering shrubs are the backbone of a big garden full of mixed plantings. 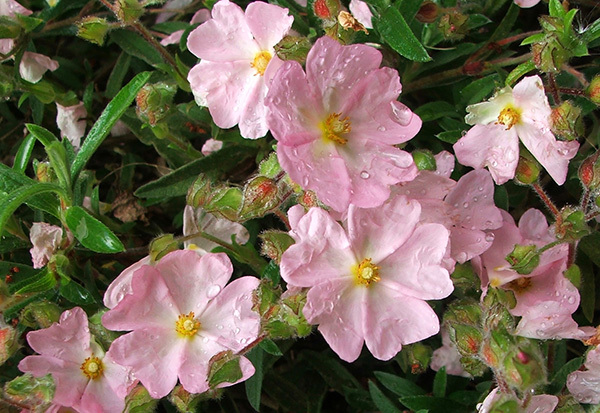 Easily overlooked when the real roses are blooming is the so called 'Rock Rose' or Cistus shrub. 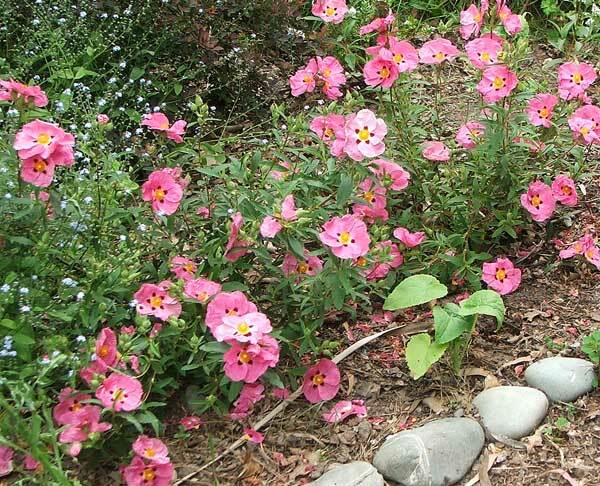 Cistus are the perennial (excuse the gardening pun!) bargain bin shrub. In my first eager gardening days, with empty paddocks and a miniscule budget, I grabbed any Cistus I thus found, no matter how root-bound or unhealthy it looked. Then I went through an unfortunate phase - unfortunate for the Cistus plants, that is, and ripped many of them out. But I'm back buying again - my local nursery has reasonable quality Cistus shrubs for five dollars each. The variety that I've recently planted has deep pink flowers - the prettiest pink. From a distance (or when the gardener is squinting) they really do look like flowering rose bushes. I'm extremely happy that I've rediscovered them. I now appreciate the small yet honest contribution made by the remaining Rock Roses in my garden. I've also learnt to prune them quite hard. I take them totally for granted, and forget to water them - no problems. 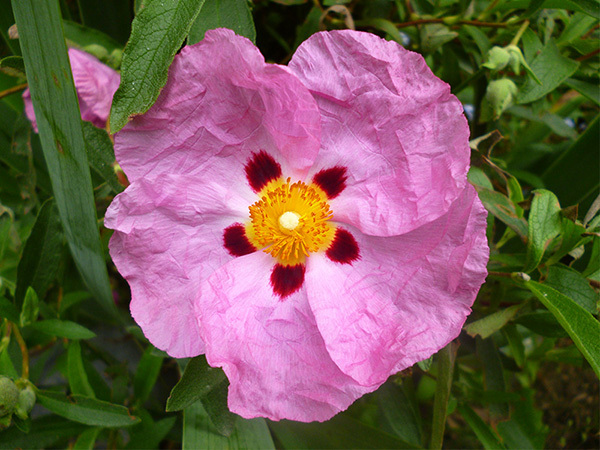 I can even easily ignore them - that's life, for a Cistus shrub!